Mexico continues its battle with drug cartels and this past July officials captured the leader of the Zetas. Miguel Angel Treviño Morales had been the leader of the drug cartel the Zetas since October 2012. He was a member of Los Zetas during the time the group worked as an enforcement arm for the Gulf cartel. A portion of the members were ex-military that had left their elite unit. Treviño Morales on the other hand was a civilian that managed to work his way up to top positions. In 2010 Los Zetas broke off from the Gulf Cartel and established themselves as the largest dangerous cartel. Treviño Morales became their leader when founder Heriberto Lazcano died in October 2010. It is alleged that the captured leader had ordered hundreds of Central American migrants killed or tortured because they would not become drug mules or for other reasons. Mexican naval forces and ground troops captured him and two lieutenants at dawn on July 16. He carried $2 million in cash and eight guns. President Enrique Peña Nieto had explained he would focus on local level law enforcement to handle drug cartels as opposed to taking down top leaders. 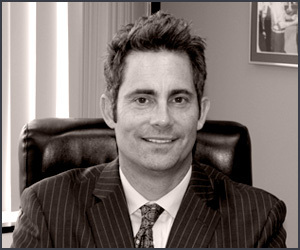 Criminal Law Updates by Law Offices of Orange County Criminal Defense Attorney William W. Bruzzo (714) 547-4636.